On 22 and 23 March we celebrated the official opening of MACCH – Maastricht Centre for Arts and Culture, Conservation and Heritage. The opening on Sunday featured inspiring talks on the role of expertise and participation in the arts. I’ll write a bit about this conference, titled Assembling Value, and what you can expect from MACCH! For over two years, various staff members of Maastricht University invested in the art and media network that became MACCH. We had different meetings and a think tank. Eventually, I stopped working for this team, because I got a new job, so I was very happy when I got an invite for an official launch event. This new centre focuses on research in the fields of the art. The members investigates how art is made, valued and interpreted, but also how user practices can inspire art. MACHH invests in heritage practices, valorization of art and heritage, finding and researching new ways of user engagement and participatory models, as well as the legal and economic frameworks of art. The past months, several projects already started that relate to MACCH. In February, I attended a Hackathon organized by Karin Wenz and Annika Richterich who are investigating “Hacking Heritage” as part of an NWO Kiem project. 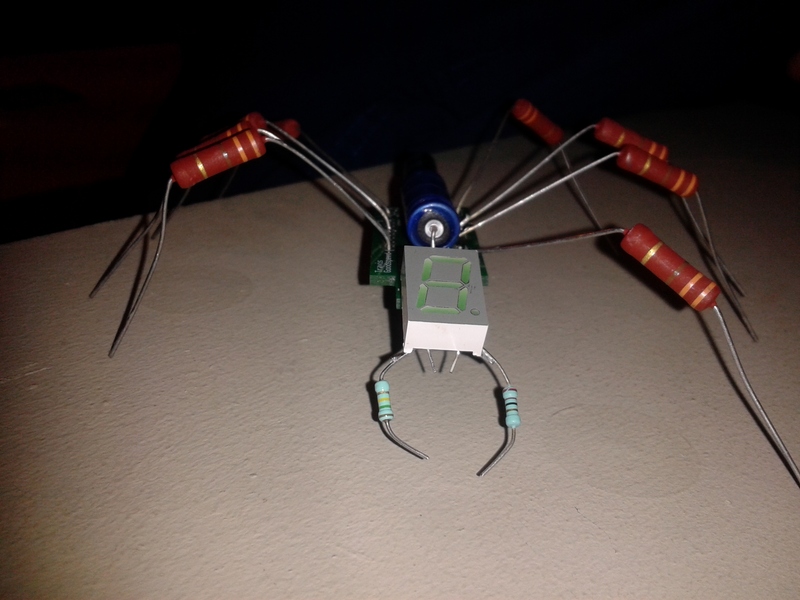 Who knew that hacked hardware could look so cute? 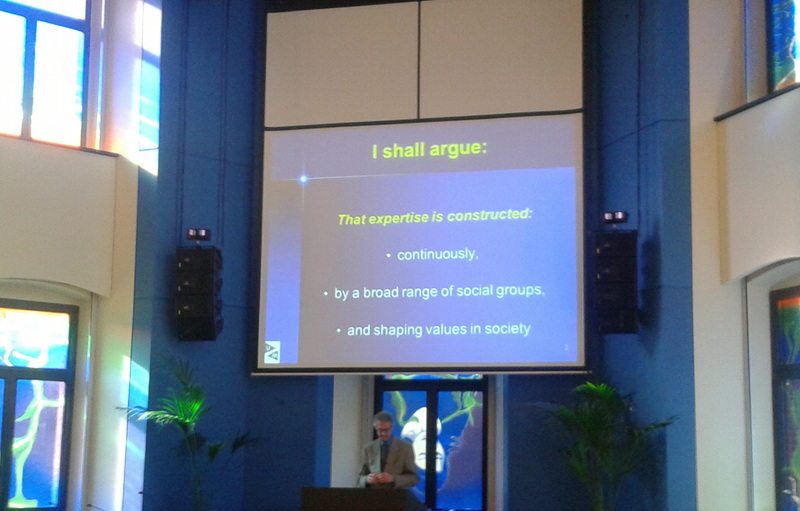 The keynote of prof. Wiebe Bijker adressed the changing role of expertise in art, science and technology. He primarily talked about the latter two as an STS scholar, but in a general way. “As a sort of mirror, so you can look at the role of expertise in your own work,” he stated. Bijker stressed the importance of looking at expertise horizontally by including the ideas of lay men (e.g., users, citizens) and involving them in development of policies and innovative technologies. Expertise relates to professional domains, interests and social roles. Different kinds of issues might need different kinds of participation, he also stressed. You can’t just involve everyone, though that might seem nice. The importance of participation in art was highlighted in a panel organized by Karin Wenz and Annika Richterich. Emily Pringle from Tate Modern showed us several projects of the museum to involve citizens and strive for inclusivity. Tim Jordan had also been invited – I do love his work! – to talk about hacking. He especially showed us how the concept had changed. For him, hacking was related to information technology and code, but lately hacking is a very fashionable term among business men and cultural institutes. Jordan acknowledged that the history of hacking was broader than IT developments alone. Rerouting telephone calls, tinkering with door bells, those are early examples of technology hacks. For him, the golden age of hacking were the 1990s and early 2000s when hacking was really an intellectual endeavor. While institutes saw it as breaking in or burglary hackers saw themselves as intellectuals. Their discourse mentioned things like playing chess – they were strategic and clever. Since it can be difficult to prove that you actually hacked something, hackers demonstrated their skills to pears. In this informal learning space, they could be mentors for other hackers, but this was also the only way of really showing their peers that they were able. In the 2000s, however, hacking got a more negative connotation. 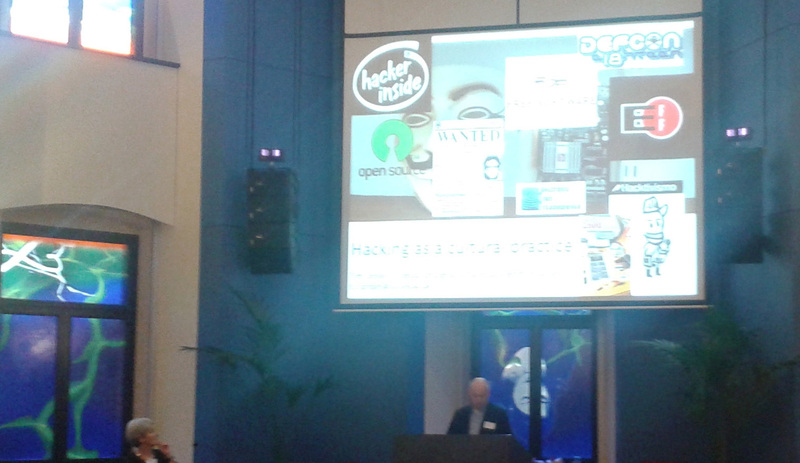 People became aware of hacking and the discourse of cybercrime emerged. Hacking was aligned with terrorism and with malpractices by governments or state-based hacking. At the same time, hacking also became more playful and political, as evidenced by Anonymous. Today, participation is too often flagged as hacking, according to Jordan, and that needs to change. It’s true that participation (whether it’s about users, hackers, or fans) is slowly penetrating the cultural industries. The last talk also discussed this but from the point of view of libraries. The scholar in question raised awareness for DIY culture or maker culture. She had some trouble with how to call today’s participatory culture. She thought of hobbies, leisure, amateurism, but couldn’t quite find a way out. (A cconceptual discussion that might seem familiar to fan scholars.) She settled for DIY because it was the most general, but the moderator correctly replied that all of those terms are very gendered and DIY also comes across as a masculine concept to signify these participants. “These audiences have to be used”, the speaker stressed multiple times, suggesting that an audience is a resource rather than a public. I got the impression that she came from the Danish cultural institutes, which are also struggling with limited budgets. Still, it is not up to cultural institutes to exploit their audiences and put them to work. They need to create paid jobs and create a dialogue with their audiences. This should be about inviting people to participate. Audiences do things on their own terms and for their own amusement – they are not putting in the extra work that you can’t afford. All in all, I had a lovely time attending this event. I hope that many good things will come out of MACCH! Next First Edition of Dutch Comic Con is a Success!